On Thursday 19 April I received a bubbly email from TSB reminding me that this was the weekend when it would finally make the switchover from the Lloyds IT platform to its very own "state of the art IT platform". 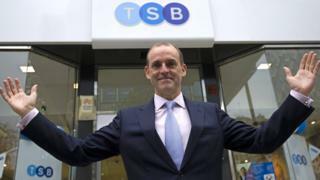 TSB was carved out of Lloyds after the merger between Lloyds and HBOS to satisfy competition concerns. I replied: "A few sweaty palms in the IT department?". "Absolutely not" - came the reply - "we are cool as cucumbers". Cue total IT meltdown, leaving customers locked out of their accounts, some customers' money going missing for days or even weeks and a grilling for the boss in front of MPs, who took the unusual step of declaring the chief executive had "lost the confidence" of the Treasury Select Committee. Many people thought Paul Pester was a dead man walking at that point but although he toughed it out - he'd used all of his nine lives. Problems flared up briefly in August and the problems over the past 24 hours drove the final nail into the coffin. Some will feel that he was a victim of circumstances beyond his control. The new system was built, designed and tested on the watch of Sabadell, TSB's Spanish owners, who were convinced the system was ready.